The most famous ship in the world is undoubtedly the RMS Titanic. 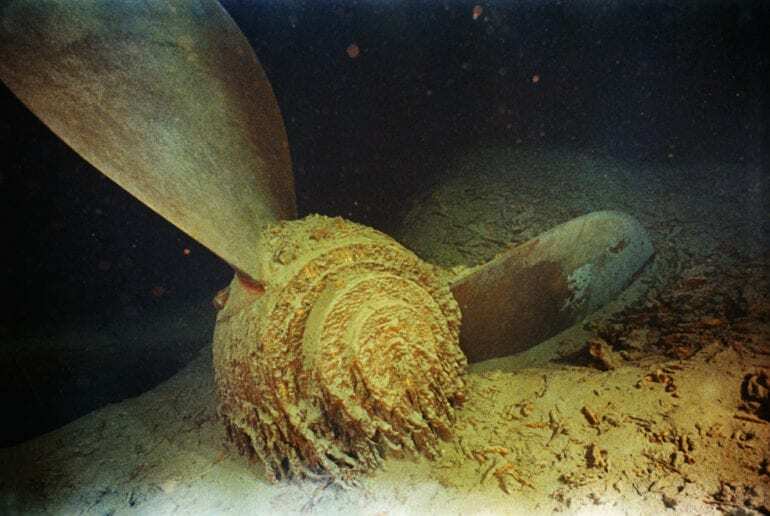 Prior to the story of the tragedy being put up on the big screen in the 1997 film, it was the most well-known maritime tragedy in history due to the number of lives lost. On April 10, 1912, the RMS Titanic left Southampton, England towards New York City, with two scheduled stops along the way for further pickup of passengers as well as a final refueling of coal for the ship to burn as it makes its way across the North Atlantic Ocean. The end result of the voyage was its collision with an ice berg on the night of April 14, 1912, cutting through the ship, filling it with water and eventually sinking along with thousands of people on board. The disaster caused a lot of changes in maritime laws as the disaster that we all know of today could have been avoided if other policies were implemented at the time. Some of these could have been more lifeboats, meaning enough for everyone, as well as a slower course on behalf of the ship itself as it could have made a difference on impact. There were 2,224 passengers on board the ship, only 774 survived. We found the minute by minute details of the sinking, which is heart wrenching to say the least, but gave us new information about what really happened to those who went down with the ship, survived the water but not the rescue ship, as well as those who survived the entire ordeal only to be scarred for life. The story of Titanic was the inspiration and obsession of director James Cameron who brought it back to life in his 1997 film. Here we see the true story of Titanic, through the images that were left behind. Titanic was considered the largest ship to see water at the time of its completion, with a length of 269 meters (882 feet). While today ships belonging to the US Navy and cruise ships are much larger than Titanic, back in 1912 it was a whole different story. Titanic was made to be as luxurious as it could possibly be, especially since they were going to carry some of the most famous first-class passengers from England to New York. 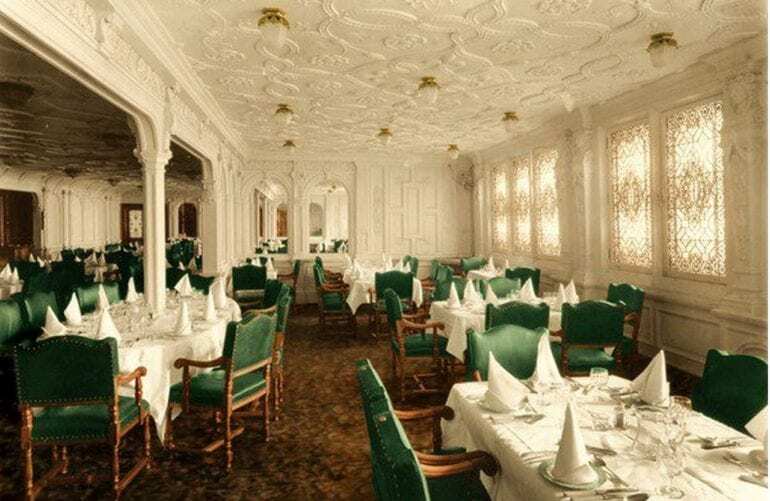 The interior design of the ship was made to look like the inside of the Ritz London. Here we see the first-class dining room, which bares an uncanny resemblance. 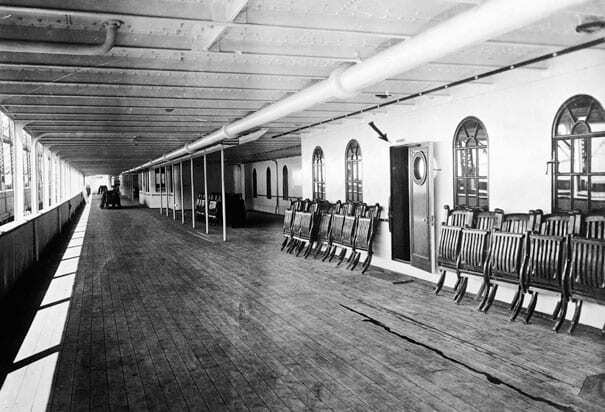 The ship boasted amenities such as pools, fitness center, squash court, kennels for first-class dogs, and Turkish bath. The decor is limited to the first-class area, the other levels received much more modest decor. 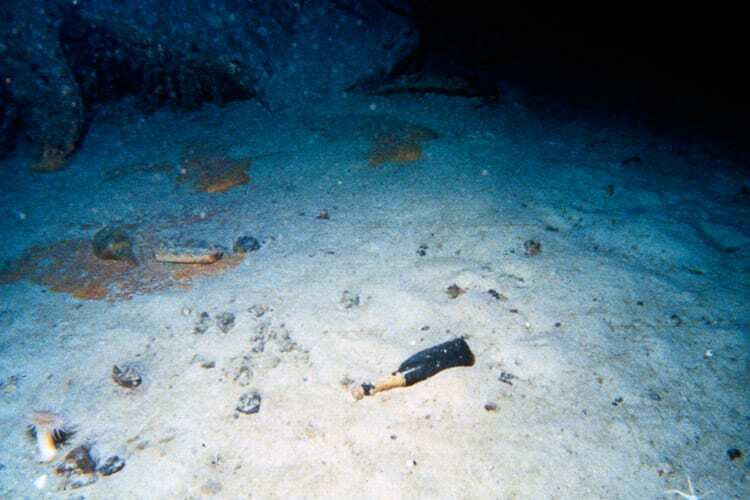 Without thousands of very wealthy individuals on board, as other levels of classes, the ship was filled to the brim with over 20,000 bottles of beer, wine, champagne, and hard liquor. In addition to the alcohol, there were over 8,000 cigars on board for the smoking pleasure of the first-class cabins and common areas. There were designated rooms on board the ship where the men could congregate to smoke their expensive cigars. 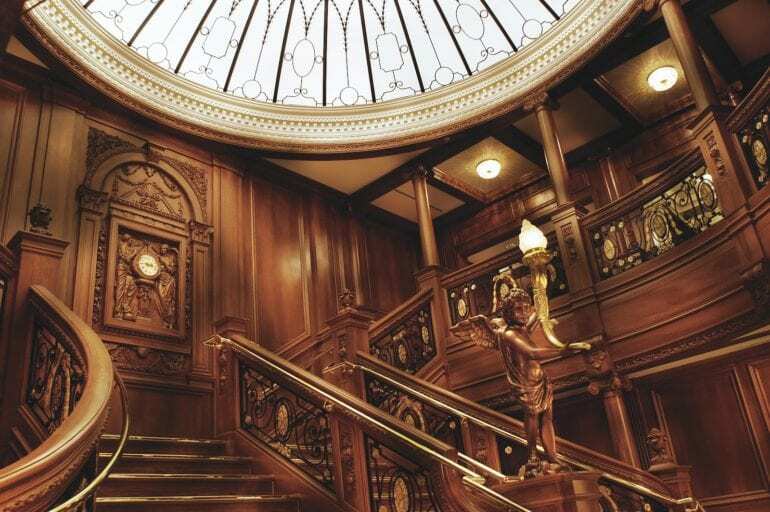 One of the main (and many) things the Titanic film got right was the grandeur of the Grand Staircase. In the film this is where Rose and Jack meet for dinner, when in reality it really was right by the entrance to the first-class dining area. The Grand Staircase was made of solid oak panelling and featured bronze paintings of cherubs. There is a replica of this fine work of craftsmanship in the Titanic Museum in the city of Branson, Missouri. It is not a secret that the reason the tragedy of Titanic was on such a large scale had to do with the fact that there were not enough life boats on board. There were 20 total life boats on board the ship that could hold no more than 1,178 individuals. Sadly, that number is only one-third of the population on the ship. Even more shocking was to learn that that was legal at the time. At the time of RMS Titanic’s launch on May 31, 1911, there was a lot of hype around the ship. There were more than 100,000 people in the crowd to see Titanic put in the water. To get the ship from the shipyard to its departure location in River Lagan, Titanic needed to be washed with 22 tons of soap and tallow in order to keep it lubricated enough to move. 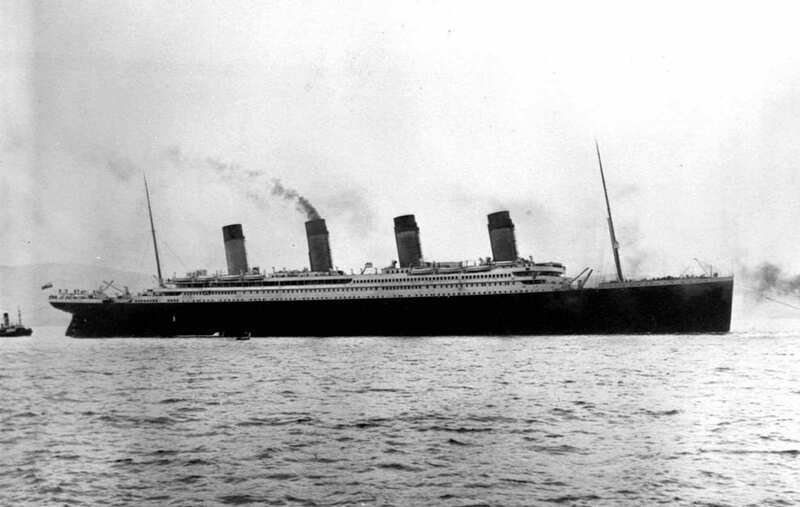 Titanic set sail from Southampton, England on April 10, 1912. It then stopped in Cherbourg, France on that same day, followed by another stop in Queenstown, Ireland the following day. Once the ship picked up the people in Ireland, it set course to New York City. As we see on this map, the ship was actually much closer to New York City then initially thought where it hit the iceberg. Sexism isn’t a nice word but it describes the work force on board the RMS Titanic. While it was much more common back in the early 20th century, there were only 23 women working on board the ship of more than 885 crew members. 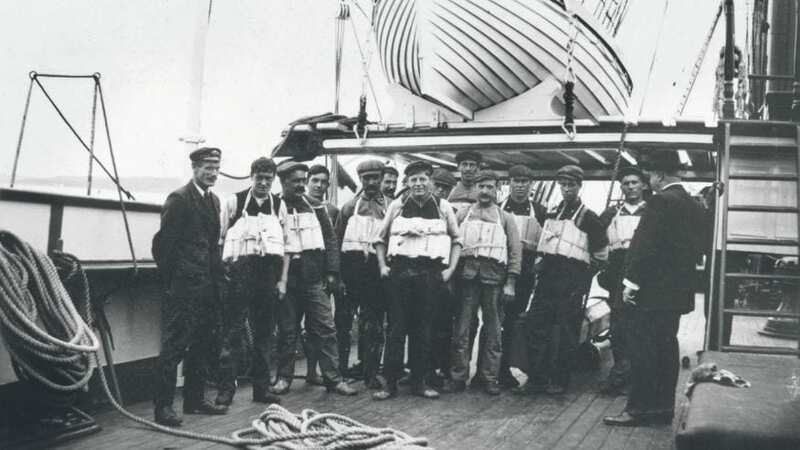 Most of the crew members were picked up in Ireland on the second day of the voyage. There was a very high crew to passenger ratio on the boat as there were 885 crew members and 2,224 passengers. 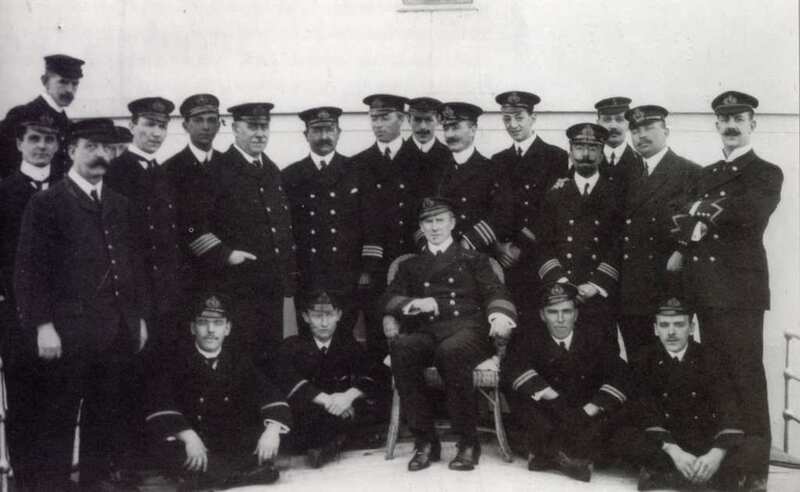 Most of the crew members were set for the first-class levels. The musicians on the ship were famous thanks to the 1997 film, but on the real ship the job was much harder than it looked. The musicians had to memorize their sheets of music in order to play for the passengers without looking at something. The music book had 352 songs within and the musicians had to memorize every one of them so as to play on demand by the passengers. 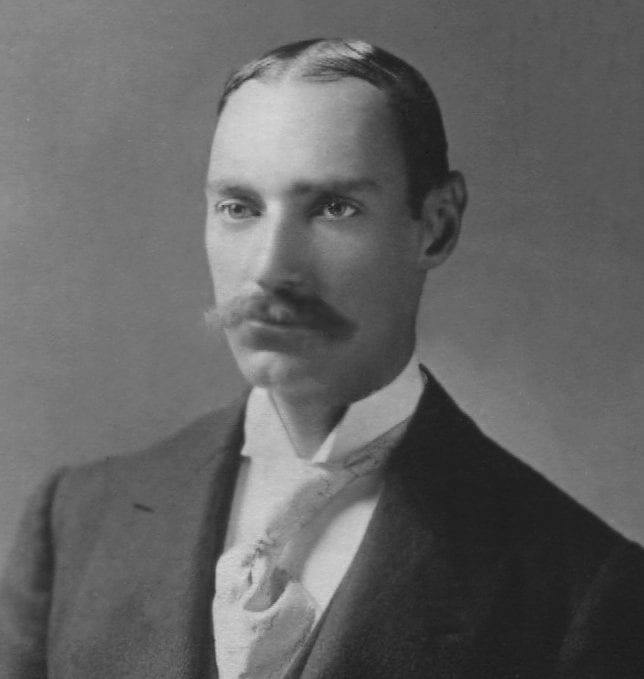 John Jacob Astor IV was on board the ship. 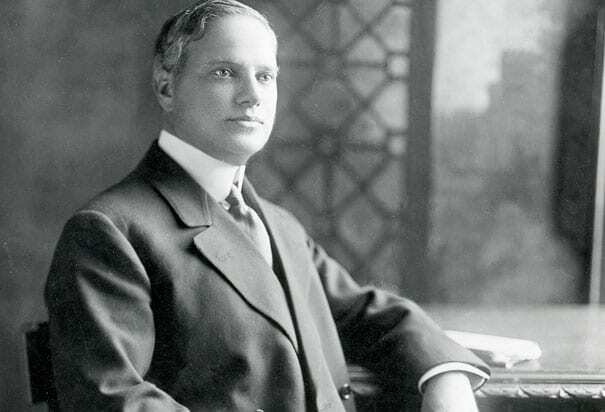 He was an American businessman who was part of the Astor family and worth $85 million at the time – which today would be around $2 billion. He was said to be the richest man aboard the Titanic. Astor died on the ship as it sank into the frigid North Atlantic Ocean after it was hit by the iceberg. 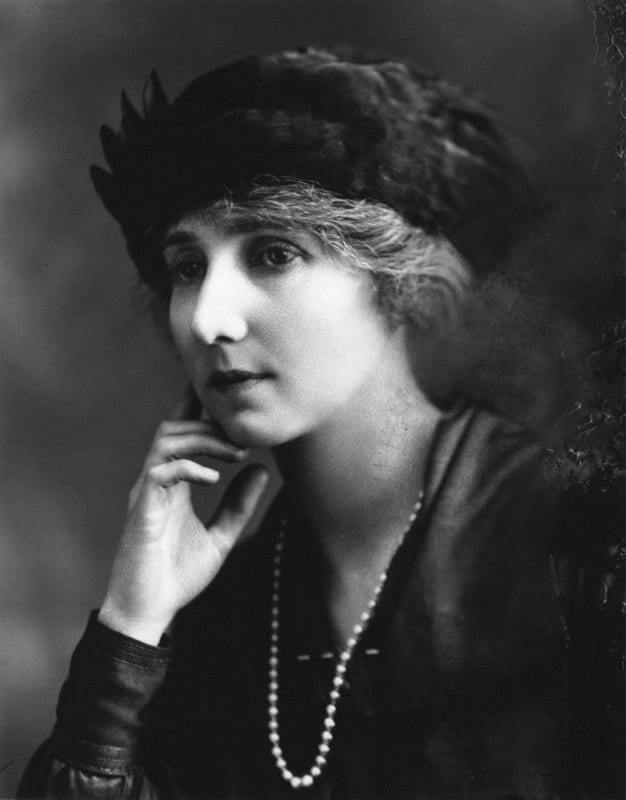 Noel Leslie, the Countess of Rothes was the other famous individual on board the ship who was one of the survivors. 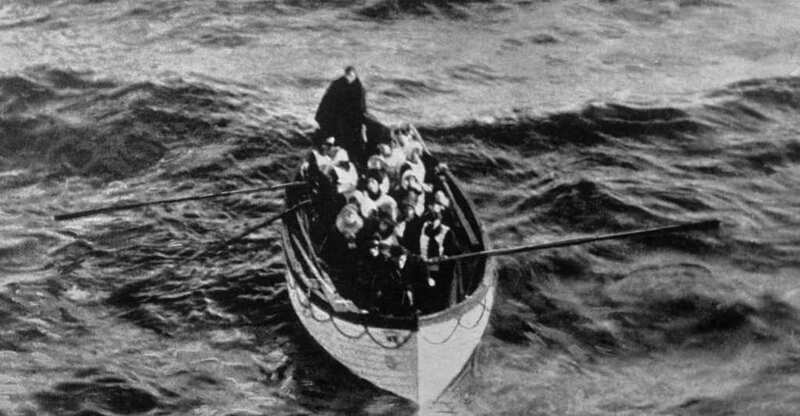 Leslie survived due to the fact that she was a woman and women and children were the first to board the lifeboats. 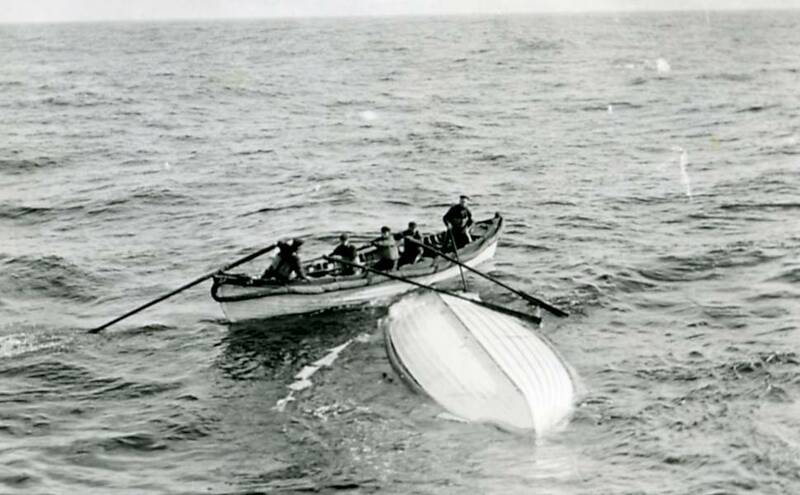 Leslie was later commended for being quick on her feet and her assistance in getting the lifeboat she was on to the ship that came to rescue the survivors, the Carpathia. 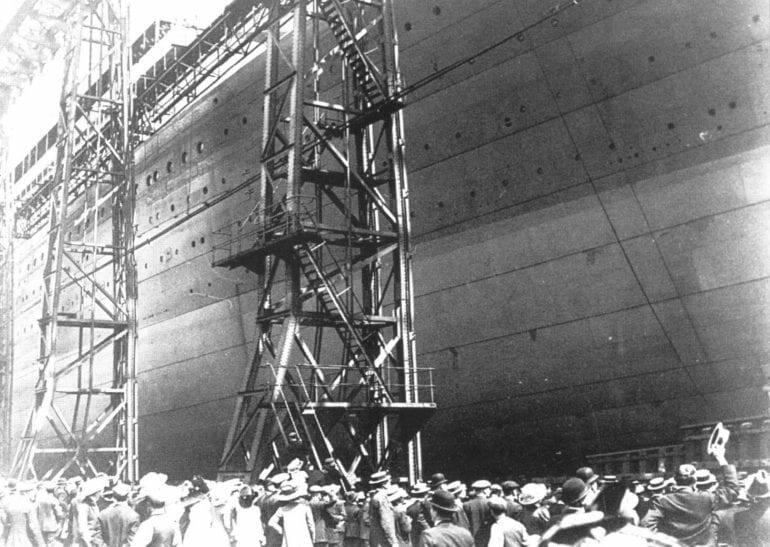 It took 26 months to construct a ship the size of Titanic. The ship was being built in Belfast by Harland and Wolff Shipyard. During the time of its construction there was a large number of builders working on her simultaneously. There were 246 reported injuries and two casualties during construction. 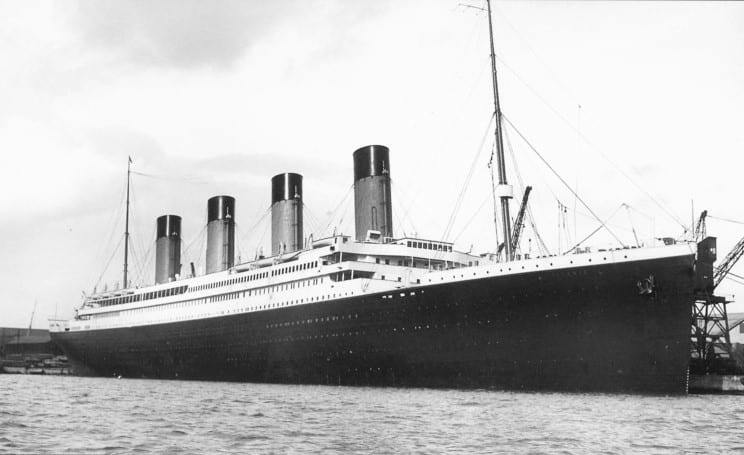 Titanic was one of two identical ships being made, the other one was called Olympic. Titanic was considered the more luxurious of the two. While we know it to be very unhealthy for people and for the environment, back in 1912 ship were still running on coal. Titanic was no different and ran entirely on coal. 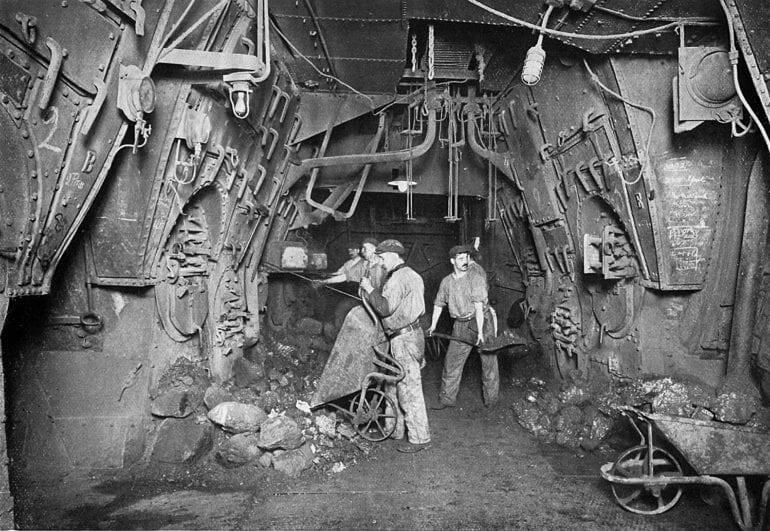 There was a group of 176 men who worked all hours to make sure the ship was supplied with enough coal in each of the many furnaces. The ship would go through 600 tons of coal every day, producing over 100 tons of ash in its wake. While it hurts us immensely to know that so many lives were lost on board the ship, there is little mention of the dogs that perished during the ship’s sinking. There were nine dogs on board the ship at the time of the sinking. Two of the dogs made it out with their lives while the rest died. 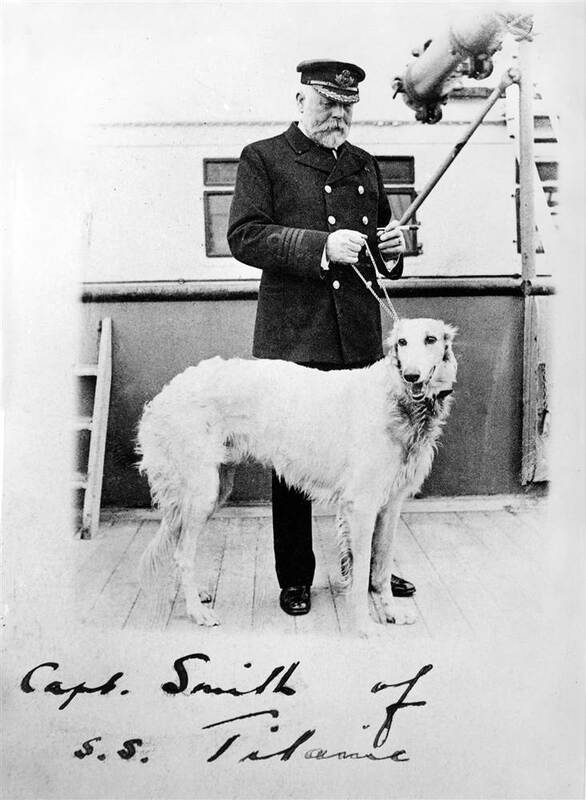 The smaller dogs were the ones that were saved, but a dog like this one with Captain Smith, was too big to be allowed on the life boat. 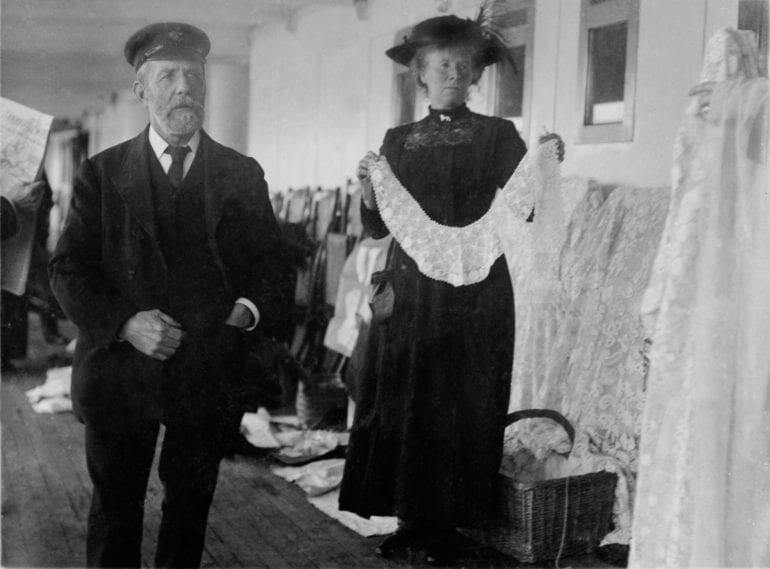 At the time they must have been very upset to miss a chance to go to America on board the RMS Titanic, but there were a few famous people who didn’t get a ticket to the ship. Milton S. Hershey of the chocolate manufacturing company, as well as Alfred Gwynne Vanderbilt were two well-known men who didn’t get their chance on the ship and were spared. Unfortunately, Vanderbilt was later killed in another ship wreck that he was involved in on the RMS Lusitania, just three years later. The night Titanic hit the berg was a very clear, moonless night with no water movement – a terrible combination for seeing icebergs. While icebergs look small on their surface, they have 80% of their true mass below water level. 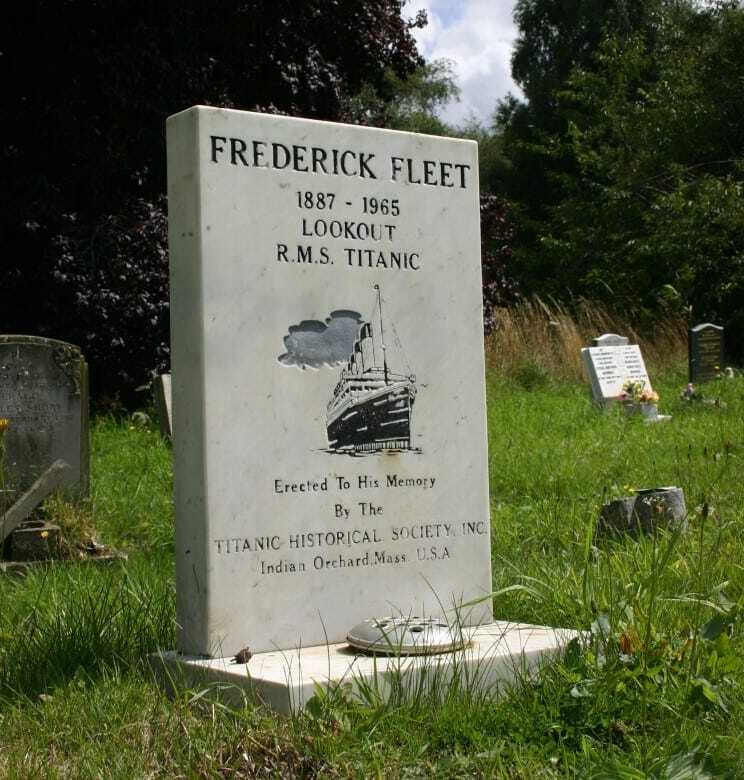 Frederick Fleet was on lookout that night and spotted the berg at 11:40 PM. He screamed through the communicator that there was a berg straight ahead. Sadly, it was already too late and they didn’t know it. The crew tried to turn the ship, only to make the matters worse. Fleet survived the wreck, worked as a lookout for other ships until he went to serve during WWII. 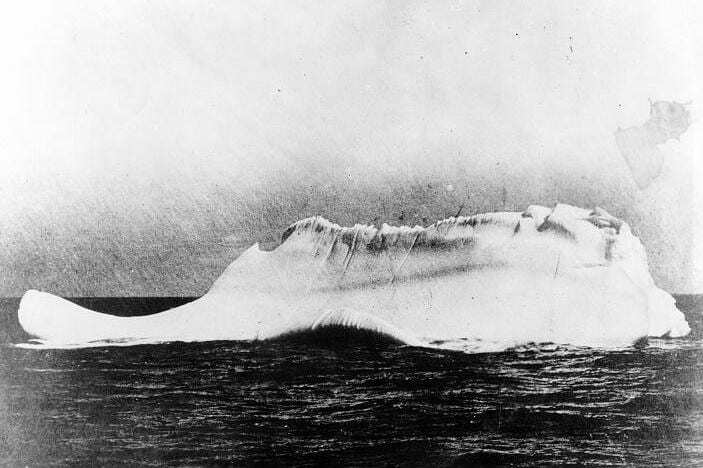 Here is what we know about the iceberg that Titanic hit: it was over 100 feet tall and had a giant mass below water level that was concealed. The photo we see here in black and white is actually of the iceberg with a red streak on it. The red was said to have come from the paint off the ship so as to mark the berg as the one that brought down Titanic. It was also one of the only ice bergs around. It may have seemed like hours to those on board Titanic who were trying to prevent the ship from colliding with an iceberg, but in fact from the moment Fleet saw the berg and announced it, to the time of the collision, only 37 seconds had passed. The film about Titanic makes it look much longer as well, for effect, we are sure. The ship was going its full speed ahead when they hit the iceberg, making the damage worse. A different ending if the ship didn’t turn? There are many theories about what could have happened if the ship decided not to turn but to hit the iceberg head on. 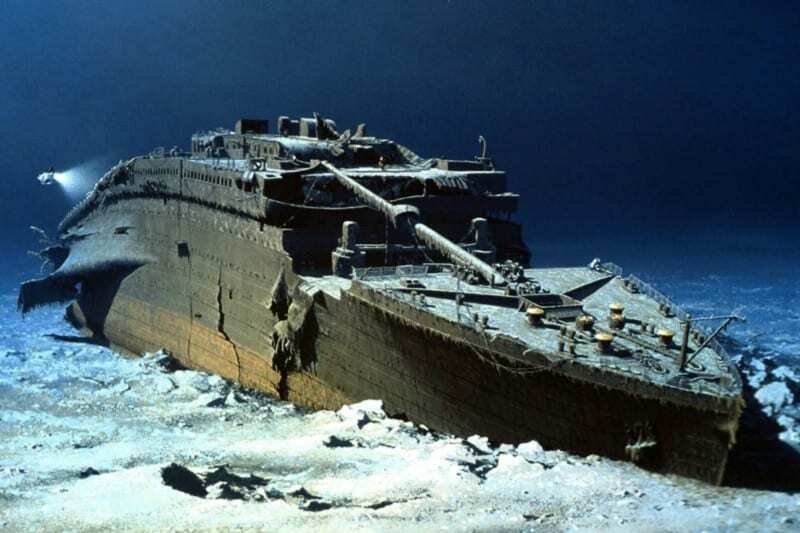 It is thought that if Titanic stayed on its course, it would have hit the berg, puncturing only the first one or two compartments (as long as it was less than four compartments that were flooded, the ship could go on) and the whole ordeal could have been avoided. 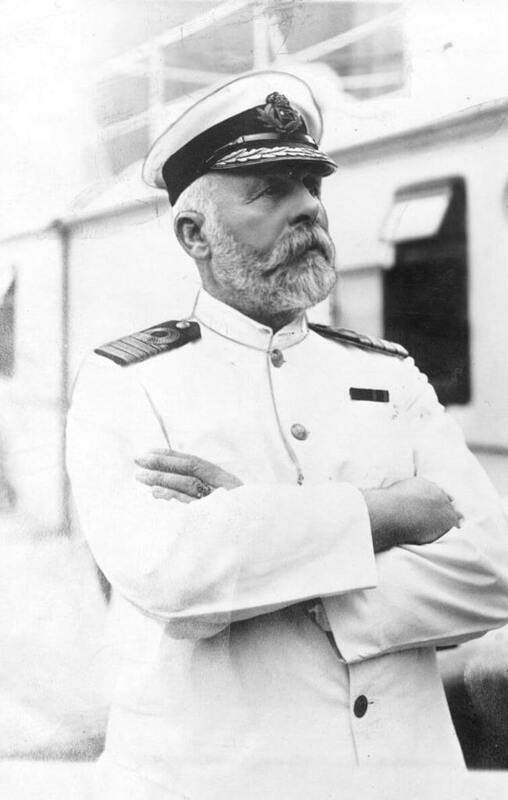 The Captain of the RMS Titanic, Edward Smith, went down with the ship. One of the surviving crew members aid that Sith said to them, “Well boys, you’ve done your duty and done it well. I ask no more of you. I release you. You know the rule of the sea. It’s every man for himself now, and God bless you.” There is a touching memorial statue for Captain Smith in Lichfield, Staffordshire. Titanic received and ignored six iceberg warnings before its untimely end. The night of the sinking, as we mentioned before, were not ideal at all for iceberg detection. The calm water, moonless night, and crisp air made it hard to see any water crashing against an iceberg before it was too late to do anything about it – just like what actually happened in the case of this ship. Not that it would have made any difference since there weren’t enough lifeboats for everyone anyway, but on the day of the sinking there was supposed to be a lifeboat drill that ended up being cancelled. The crew of the ship didn’t see a need for such a drill as they thought the ship could not possibly sink. We find it kind of serendipitous and tempting of fate that on that day they were supposed to have a drill. The film about the Titanic disaster made a very good showing of how the ship split in two as it was sinking. At 2:20 AM on the morning of April 15, 1912, the ship split into two pieces that were held together by wiring. As the front of the ship flooded and was weighed down into the water, the back fo the ship was being pulled forward to the point it could no longer hold itself together and broke. 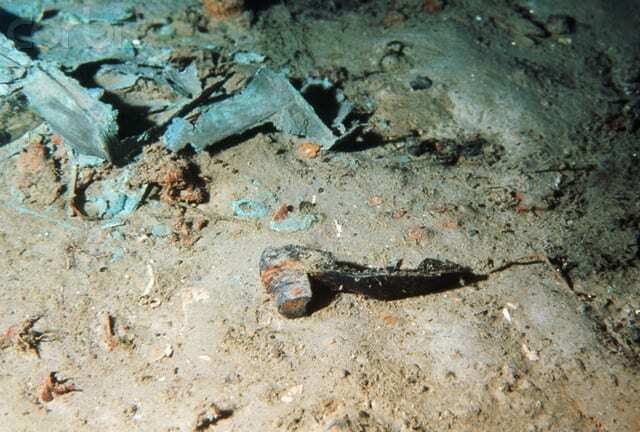 Because it was still connected by wiring, the front of the ship pulled the back upright and held it there in place until it detached and separated. The night of the sinking, the water was a -2 degrees Celsius, a mere 28 degrees Fahrenheit. For any individual who was in the water, it would have taken no more than 15 minutes for them to freeze to death. Most would have died within two minutes of hitting the water from the shock the cold had on their bodies. Those who were in the lifeboats made no attempt to go get those in the water for fear of being overrun by people and hurting the chances of survival for everyone on the boat. The baker of the ship, Charles Joughin, survived two hours in the freezing water thanks to the fact that he was as drunk as a skunk, truly. He was pulled to safety after the two hour period by a lifeboat that came back. When Charles got on the boat he was in relatively good condition, which he credits to the amount of whisky he drank before being in the water which elevated his body temperature enough for him to survive. 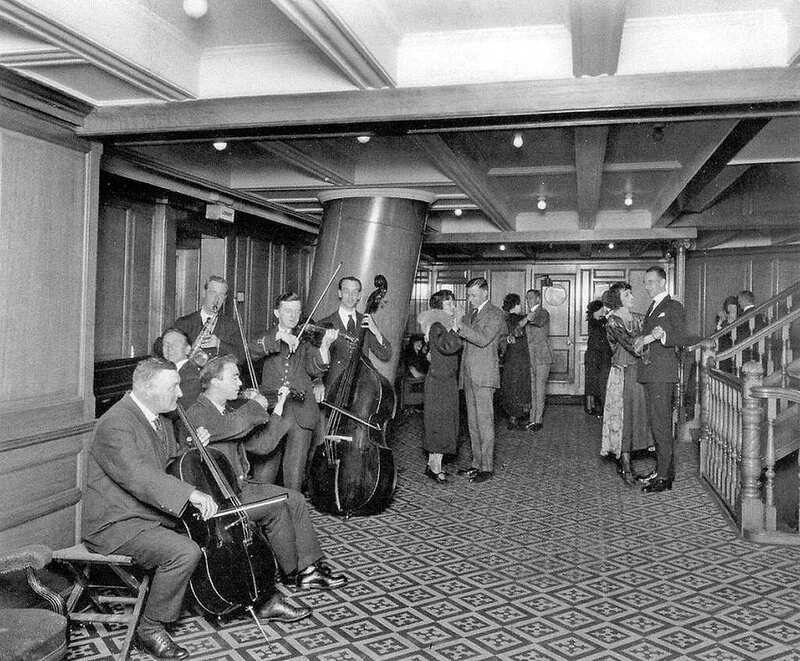 The dedicated musicians on board the ship did much more than play for the pleasure of the passengers. When the ship was going down, the musicians decided to come up to the deck and play to try and calm the passengers left on board. They played non-stop for two hours and five minutes, ending their playing 35 minutes before the entire ship was engulfed. The group of musicians went down with the ship. 774 people of the 2,224 passengers on board Titanic survived. When the lot of them reached New York City on board the rescue ship Carpathia, the world finally understood the true magnitude of the disaster. Most of the dead were men, while the largest percentage of the dead as whole were second and third class passengers. The fact that most of the dead were of the lesser classes made the public angry and made officials question procedures. 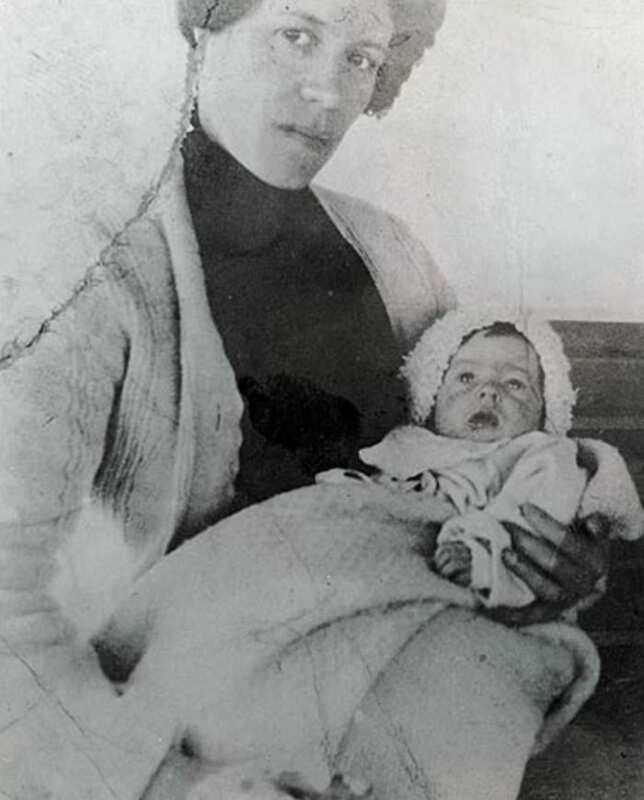 Millvina Dean was the youngest passenger on board Titanic. She was on the ship with her parents and brother. 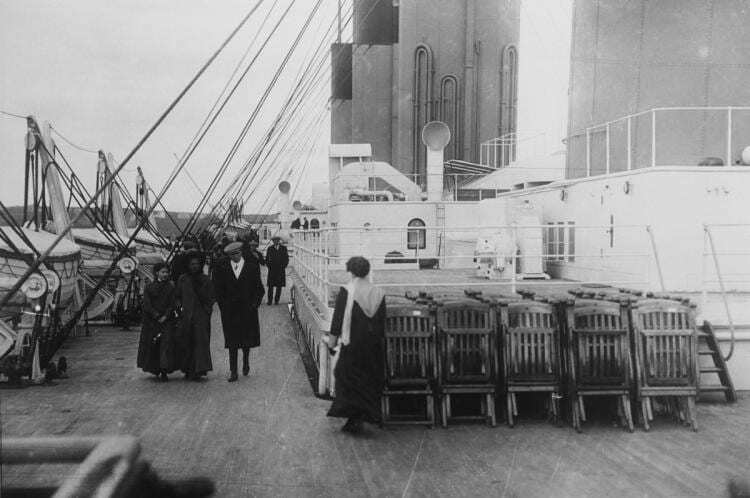 The family was in the third-class cabins of the ship. 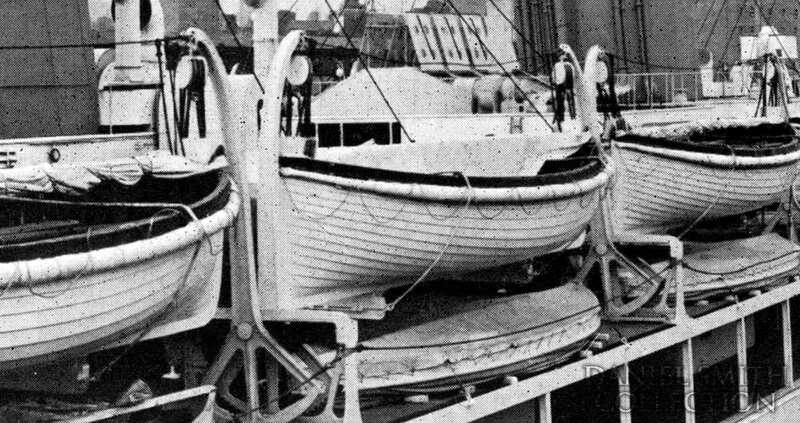 Millvina and her mother and brother were put in a lifeboat and survived, while her father died. Millvina didn’t know she was on Titanic until her mother told her when she was 8 years old. Dean was the last survivor of the ship wreck and passed away in 2009 at the old age of 97. 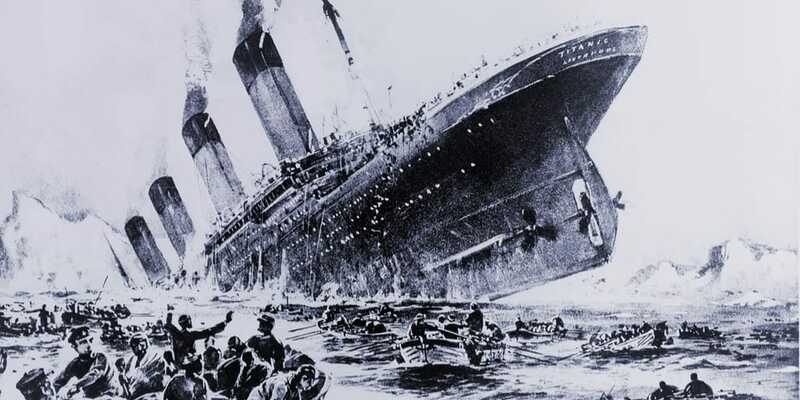 The many outrageous procedures that took place on board Titanic that lead to its collision with the iceberg as well as the fact that there were not enough life boats for everyone, made maritime laws take a huge shift towards the more conservative. The public was not accepting these deaths for nothing and were making a huge deal, as well they should be, about the unnecessary deaths. 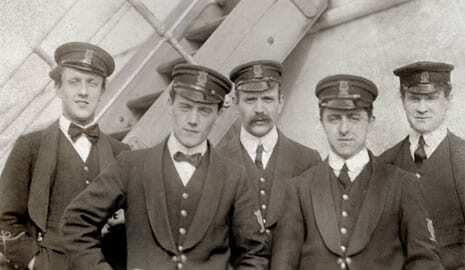 In 1914, the International Convention for the Safety of Life at Sea was put into place.